The Floyd Group is a manufacturer’s representative in Seattle, focusing on helping businesses get their products sold through Amazon.com. Virtual Monk gave an overhaul to the entire look and feel of the brand, producing a profession, timeless mark. 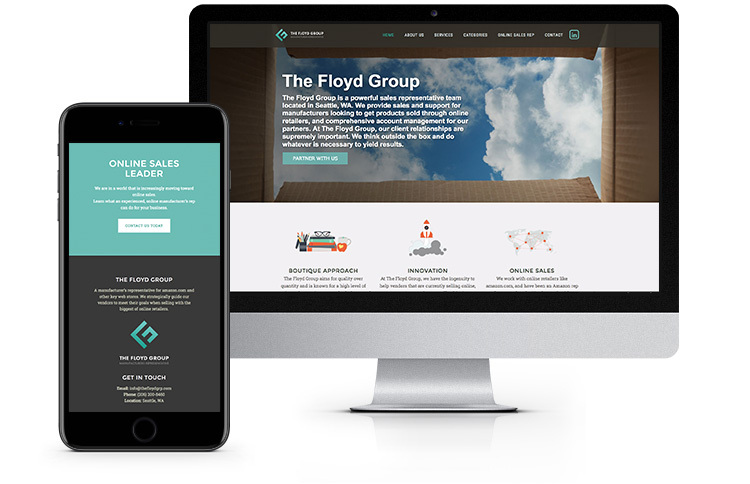 Using the logo and brand guidelines as a starting point, we gave thefloydgrp.com a thoroughly professional makeover that has allowed them to grow as a business.